Are you tired of asking, “What’s this mean,” when you come across a new term? Probably. I’m in the business, but the lingo changes so rapidly, it’s easy even for those in the industry to get lost. For example, less than thirty years ago, “optimize” just meant “to make as perfect, effective, or functional as possible” (thanks Webster). Now… now it means more than you can put in one blog post. I know; I’ve tried. I remember – not too long ago, it seems – when the term DAO came skipping through the industry’s verbiage. “DAO,” I thought. “What does that mean?” I had to dig around until I came up with the answer. “Oh. Duh. Digital Asset Optimization.” Because, see, that’s different than just making sure all your online marketing material is as functional as possible. -But hey, to whoever coined that term, kudos! That’s why we get the opportunity to present our latest robust SEO dictionary, right? You have to know SEO terminology to become an optimizer. Otherwise, who’s going to be able to answer questions when you need another eye on the projects? No one will understand what you’re talking about. You need to know SEO terminology if you’re going to talk to an optimization agency about your site. Otherwise, how are you going to understand what they’re telling you? You should know SEO terminology if you’re going to DIY. Otherwise, how can you understand what industry people are telling you so you can implement it? In other words, no matter what you’re doing, it’s important to know the lingo before you dive in. What’s a citation? What’s the difference between a branded and non-branded key term? View the handy, interactive PowerPoint presentation below. Read it. Study it. Bookmark it, come back later, and test yourself. 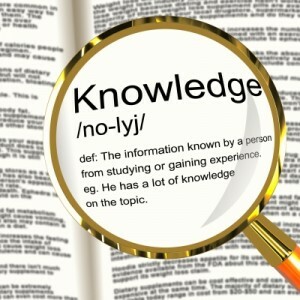 Gain the knowledge necessary to survive in an SEO world! As I said at the beginning, it’s important to know the lingo. I hope you now know a little more optimization and internet marketing terminology; if you didn’t see something you’d like a definition for, make sure to drop us a note in the handy comment box below. We’ll keep updating our dictionary as the terms change, grow and multiply, so keep coming back and checking in!